"Bloody hell!" [Ticks off on fingers] "Sodding, blimey, shagging, knickers, b****cks, oh God! I'm English!" 32 is delicious, I have been considering a green and black combo but I know how annoying black is to remove so I've yet to try! 26 and 31 for me! Lush. Annana, it looks like diluted or faded turquoise and fluorescent glow to me. What colours are 17 and 20? They look a bit like either Apple Green or Green Envy but I'm not 100% certain. Apple green never went that dark for me so i don't think it's that one. Maybe green envy. I LOVE number 39....think thats so pretty. But being serious what do you think of that kind of madness? Funny? Madness? 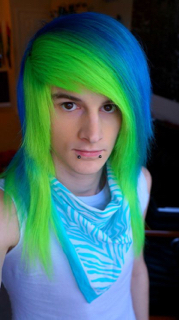 You're saying men with dyed hair is funny and mad? If that's the case, I wouldn't say it around here again. I hope I'm wrong. His hair looks good. You'd be complimenting it if it was on a girl. 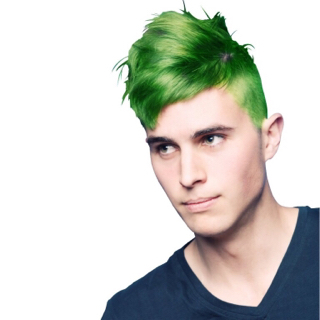 We're here to talk about cool hair, not mock people that you don't deem to be worthy of joining your gang. 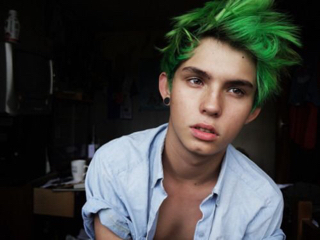 On topic- I found some great pictures of green hair today! Getting green envy. I did this to my friends hair a couple weeks ago. I dig the neon green to light blue to dark blue. I think it looks hecka rad. 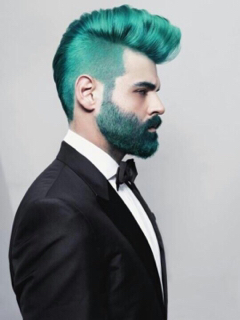 The teal hair with teal beard is amazing! 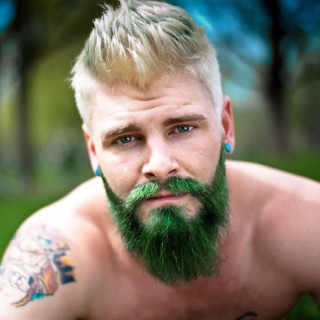 Out of Marthakins post I like the first guy with that overall teal hair + beard. 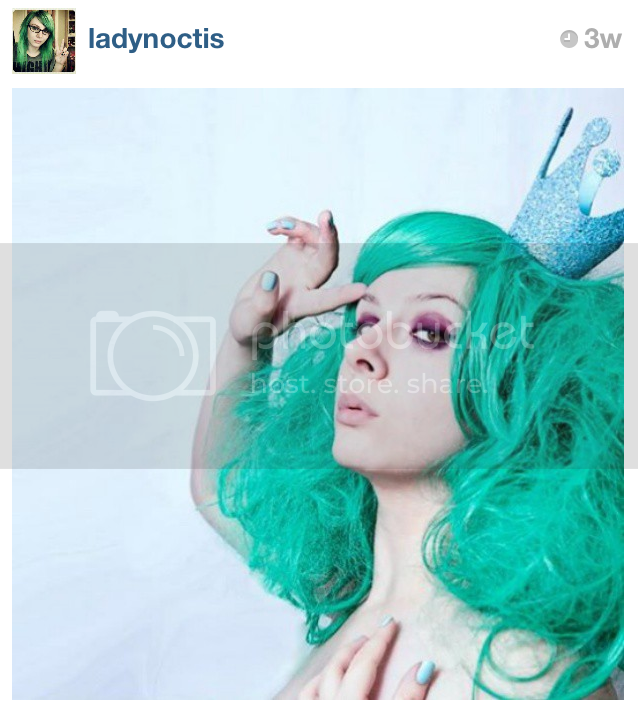 I am hoping to pursuade my fiance to go for the 4th picture, guy with the green beard. 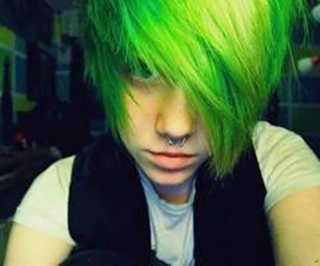 Really Green color looks extraordinary, I will give suggestion to my girlfriend to try this, Thank You!